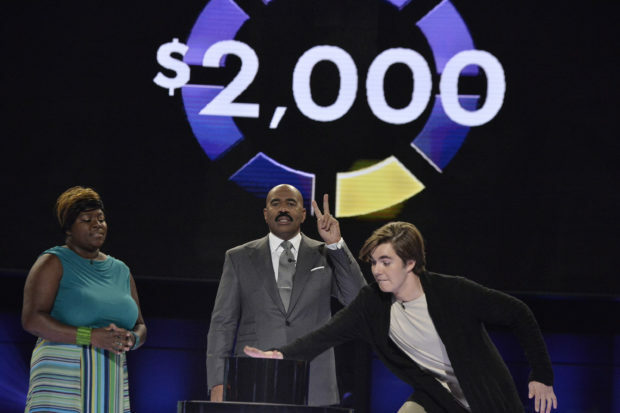 On the show “Steve Harvey’s Funderdome,” entrepreneurs pitch in a head-to-head competition to “The Funderdome” (a live studio audience) for the chance to win up to $100K in capital. The pitch that gets the most votes wins the money. Before the winner is announced, both competitors get the chance to “Cash Out” for a lower sum of money. 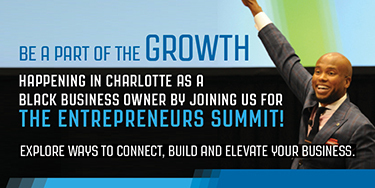 Tanya Tibbs of Roswell, Georgia, pitched her product – The V-Smart Bar – in the Funderdome. Brandon Andrews of Values Partnerships (an agency that helps bring diverse entrepreneurs to the show) sat down with Tanya after the show for an interview. You are passionate about female health and wellness, tell us about the V-Smart Bar. Tanya Tibbs: The V-Smart Bar is an herbal and essential oil based feminine hygiene bar that helps women with most common womb and skin issues. It was created for one of my sisters many years ago when she was suffering from womb and skin issues. The bar has a very powerful ingredient in it called goldenseal which is known to help cleanse the impurities out of your blood. I know that most common feminine hygiene products offer chemicals and perfumes which can cause irritation, dryness, and odor. I wanted to offer young girls/women an alternative non-fragrance line of soaps and womb wash for a holistic approach to feminine care. Why does the V-Smart Bar work for women? What makes it different/better? TT: My product works for women because we try to stay away from the chemicals, scents, and fillers that can cause a woman’s pH balance to be disrupted, which triggers more problems. The formula, created with herbs/essential oils, helps the female reproductive system. TT: Wow. Where do I start? The fact that they found me online from an old video made me quickly understand the power of social media. You never know who’s watching! Being a spiritual person at heart, I felt that the love of God was definitely showing me favor. I was a bit nervous at first, but I’m a firm believer that Spirit doesn’t offer you opportunities unless you’re ready. I felt like it was my time to share the V-Smart Bar with the world. Pitching to the Funderdome was very scary but I knew it was my one shot to help millions of young girls/women all over the world! Congrats! You won $10,000 in capital on the show. Were you tempted to cash out? TT: Thanks. 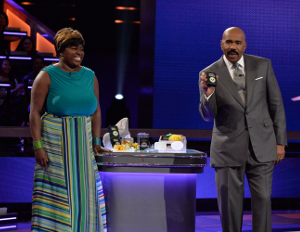 Yes, I won $10,000 on the show! No, I was not tempted to press the button at all. Something deep inside of me knew I was going to win. I actually kind of stepped back with an assurance that I was going to win. Tibbs: What’s up next for the V-Smart brand? Well, we are looking at putting our product in a big box store so that more girls/women can have direct access to the product which would allow us to help more. We have mastered having a storefront and with the winnings we are going mobile so we plan to purchase a used RV and transform it into a “Wombpreneur on Wheels” so we can go mobile/global and be a part of all the big health fairs, jazz festivals, hair shows, and conferences! It’s time to go into urban neighborhoods and women prisons across the world. Tibbs: Wow! I first became an entrepreneur when I was 19 years old as a hairstylist/salon owner. I’m 46 now and could write several books on what every entrepreneur needs to know. Entrepreneurs need to know that if they are the only one who believes in their dream then it’s more than enough. They have to understand that failure is the best teacher, and you have to be “comfortable with being uncomfortable.” Every door that the Spirit opens is another step to your ultimate dream. You will always face some hardships but never give up!! I feel that every businesses core mission should be to help someone and to spread kindness, peace, love, and joy with the gifts the Spirit has given you!! We are only here to serve and make people, communities, and this world a better place!! Entrepreneurship has come a long way and I’m so happy that we can now access so much information to help us grow our businesses.